Hello all! This fortnight's challenge at The Poodles Parlour is Halloween and is sponsored by Bugaboo Stamps and The Digi Garden. Be sure to check out my teamies inspiration too. They will certainly put you into the Halloween Spirit, get it, Spirit, hahaha. I know, puns are awful but I couldn't resist. I used a Silhouette file to create my easel card. I merged the Bugaboo images Hween Brat Wizard and Hween Bench. I colored them with my Prismacolor pencils and used purple and gold Stickles on his hat and robe and orange Stickles on the pumpkin. Bling on a roll down the side. Pop dots lift my bat and sentiment off the page. The pumpkins along the bottom are another Silhouette cut file and I left room for a sentiment there too which I will add with a white gel pen once I decide who this one is going to. 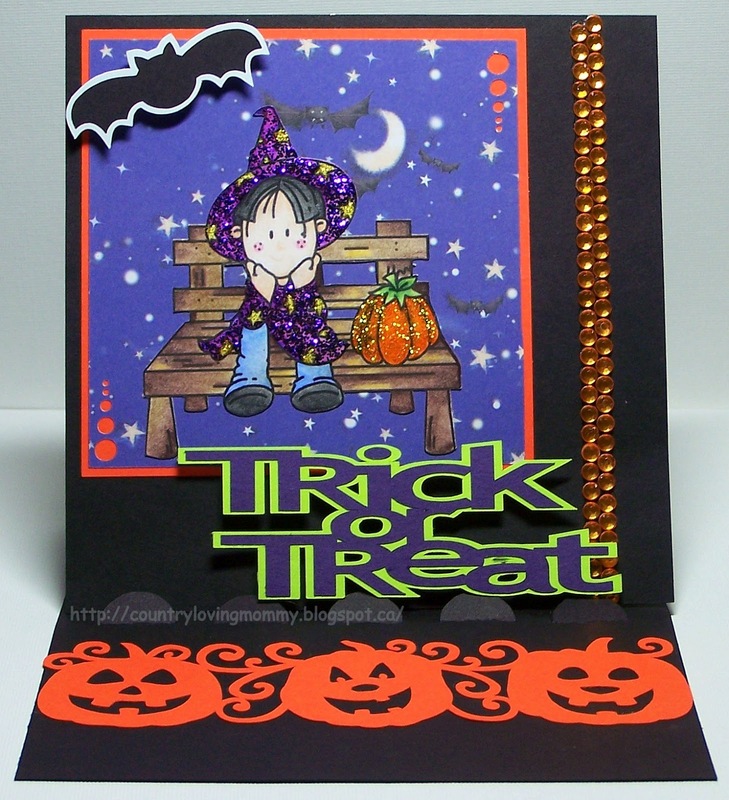 This is a lovely Halloween card, such fab bright colours. gorgeous! I love the colours and the fabulous design! 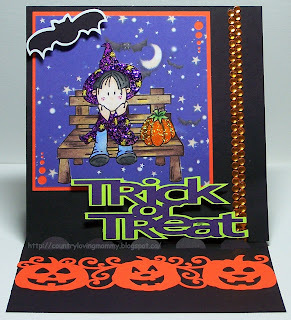 Thank you so much for sharing your spooktacular (HA HA HA) card with us over at Crafting For All Seasons Costume/Dress UP challenge. I just love your card! Super cute image and love the Stickles! Thanks for joining us at My Sheri Crafts! Wonderful card, love the design and all the bling. Thanks for playing with Charisma this week. Fabulous card - great design and super cute image. Love her blinged up hat. Thanks for playing along with us at MAWTT and Charisma this week.